The steampowered airplane. 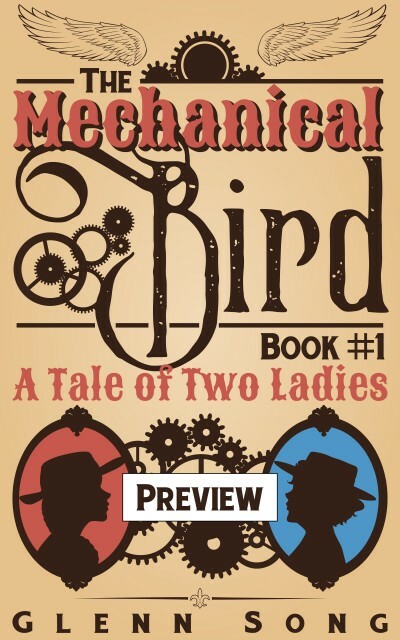 Her Mechanical Bird. Alicia Reynard doesn't have a name for it yet. She calls it her "flying carriage" and to her it's only a dream in a leather bound journal among her drawings of birds and steam locomotives. She's grounded in her small farming town of Dunbrooke, but surrounded by good friends and family. She doesn't know it yet, but she will be the first woman to fly across the world, but before she can take to the skies, she'll have to build her airplane, and before she can do that, she'll have to learn how. In her country of Maedrelleden, war is her opportunity. When the men go off to fight for king and country, the women will join the ranks of society, and the royal University of Aeterall will give Alicia a once in a lifetime opportunity.